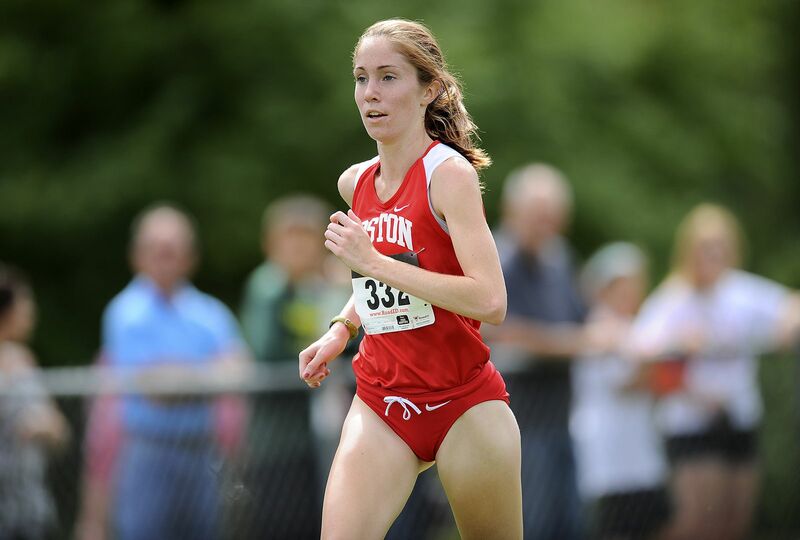 It was an impressive showing for both Boston University cross country teams Saturday, as the women’s and men’s teams finished first and second, respectively, in the Ted Owen Invitational held at Stanley Quarter Park in New Britain, Connecticut. “Overall, we competed well in somewhat adverse conditions, due to the warmth, high humidity and strong sunlight on the day,” said BU coach Bruce Lehane in regard to both teams’ performances. The women’s cross country team ran well as a pack, with four Terriers finishing in the top 10. In her first outing of the season, senior Rosa Moriello won the 5-kilometer race with a time of 16:59.6, 34 seconds ahead of the next runner, junior teammate Michelle Sumner. Moriello was named Patriot League Female Runner of the Week for her performance. Rounding out the top 10 for BU were junior Shelby Stableford (18:00.4) in sixth and sophomore Hallie Armstrong (18:11.3) in 10th. Junior Erin Pierce (18:25.4) crossed the line in 14th place to secure a Terrier victory for the second time in as many meets during the 2014-15 season. Also competing for BU were freshmen Alex Osman (18:56.2), Paige Ferrucci (19:59.3), Alexia Zawadzke (20:04:7), Jenny Mistretta (20:16:1) and Gabrielle DiRenzo (20:55:0) who placed 20th, 43rd, 48th, 56th and 72th, respectively. The Terriers finished with a commanding 33 points, 29 less than second place Sacred Heart University. “Rosa Moriello was first, and Michelle Sumner was second — we thought that would be how it would go,” Lehane said. “But it was our fourth runner, Hallie Armstrong, and our fifth runner, Erin Pierce, who ran real strong races for themselves, which is what sealed the race. The men’s team also ran well Saturday, earning a second-place team finish at the invitational. Senior Ben Ravetz led the way for the Terriers in the 8-kilometer race. In a fight to the finish, Ravetz was slightly edged out by Temple University’s Matthew Kacyon. His performance of 25:51.0 was good for second place while also serving Ravetz’ second top-five finish of his senior campaign. Junior Paul Gennaro came in fifth place with a time of 26:24.2, followed by junior Kevin Thomas (26:41.5) in ninth. Sophomores Mitch Russo (27:13.2) and Matti Groll (27:23.5) finished 14th and 15th, respectively. Adding to the Terriers’ top seven were sophomore Ethan Homan (27:53.1) and senior John McKeon (27:56.2). Next up for the Terriers is the New England Championships on Oct. 11th. Moriello will be looking to defend her title at Franklin Park, where she posted a commanding victory of 17:13 in 2013. Lehane said he is preparing his team for another competitive meet. “One challenge in that race — in which over 40 teams line up and race head to head — is keeping composure in such a large and highly competitive field,” he said. “We are hoping to activate another runner or two from the injured list for both teams. Lehane also said the Terriers have a distinct advantage in their familiarity with the course.